Whether you’re after a temporary fence for a couple of weeks to a couple of years, TFH Hire – Temporary Fencing Ballina has all the solutions for you. 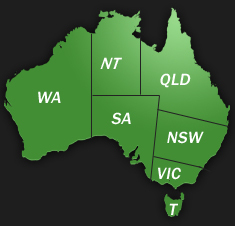 With a group of temporary fence experts dedicated to providing you with the best possible temporary fence service for you, it’s no wonder that TFH Hire – Temporary Fencing Ballina are the number 1 choice for Ballina. Having an extensive history in the temporary fencing industry, TFH Hire – Temporary Fencing Ballina know the most advanced and sort after techniques and methods to provide you with the most robust supreme quality temporary fences at the best prices in Ballina. TFH Hire – Temporary Fencing Ballina offer prompt delivery times with transport and installation by our highly experienced staff. At TFH Hire - Temporary Fencing Ballina, we have demonstrated a capacity to not only provide the required quality product, but to also meet the stringent time constraints in regards to the installation and dismantling of temporary fencing. Whether you’re situated in residential, commercial or industrial premises, TFH Hire – Temporary Fencing Ballina will come and deliver, install, dismantle and remove our temporary fences in a professional and swift manner. 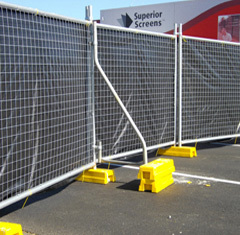 No matter the size or time constraints, TFH Hire – Temporary Fencing Ballina will complete the job to your satisfaction. So for a free no obligation quote or for any further information on our temporary fences, give TFH Hire – Temporary Fencing Ballina a call today. You won’t be disappointed.